Earlier this year, John and Katy Wustman talked about buying a little place Up North to spend their vacations. “It was a pretty short discussion,” John said. Unemployed since January and with no immediate prospect of a job, he said a second home was a bit extravagant, so the couple chose a more-frugal alternative: They had a pool installed in the back yard of their Wyoming home. “Rather than thinking about a cottage or a vacation, we decided we’d have the vacation spot in our own back yard,” he said. That doesn’t mean they won’t take occasional trips north, he said, but they likely will be shorter – and cheaper. During down economic times, they and countless other middle class Michigan residents haven’t given up their leisure time; they’ve simply sought less-expensive ways of enjoying it. Economists call it “opportunity cost,” spending money on one option and giving up the opportunity to spend it on another. As a result, a negative for one business can be a positive for another. Rather than take a week’s vacation at the Grand Canyon, for example, a family decides to camp a few days at Sleeping Bear Dunes. Instead of buying a cottage Up North, they build a pool. “Given the economic uncertainty, it’s not surprising that people are cutting back on vacations and finding leisure activities closer to home,” said George Erickcek, an economist and senior regional analyst with the W.E. Upjohn Institute for Employment Research in Kalamazoo. Leisure travel spending in Michigan set a record high of $13.3 billion in 2006. With the start of the recession in late 2007, it took a sharp dive. Beginning in 2010, Nicholls and other researchers noticed a new trend in Michigan’s tourism. For the first time that year and each year since, out-of-state visitors spent more money on travel in Michigan than did Michigan residents. In 2010, leisure spending by out-of-state visitors jumped 21 percent over 2009, while Michigan residents increased their travel spending in the state by 6 percent. Together, residents and nonresidents spent $13.1 billion on leisure travel in Michigan in 2011. Still, the majority of Michigan’s tourists are from Michigan, but they spend less and stay shorter amounts of time than do the out-of-state travelers, Nicholls said. 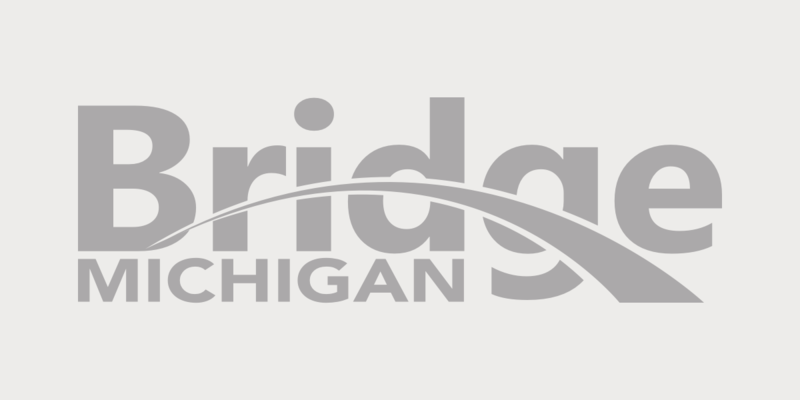 Much of the increased spending by nonresidents, state tourism officials believe, is due to the aggressive “Pure Michigan” campaign, a series of television ads featuring the voice of actor Tim Allen that began running nationally in 2009. For years, Michigan’s travel industry was built on the state’s blue collar workers who had enough vacation time and money to afford a little cabin Up North. Those days likely are over, Nicholls said. As in-state travel by Michigan’s working middle class declined, state tourism officials realized “there are the other 320 million Americans out there,” said George Zimmermann, vice president in charge of the Michigan Economic Development Corp.’s Travel Michigan, the state’s tourism agency. In 2012, the state spent $13.7 million on out-of-state advertising for the Pure Michigan campaign, attracting 3.8 million nonresident visitors whose spending generated $79.1 million in new tax revenue, a return on investment of $5.76. MSU researchers predict 2013 will see further increases in Michigan’s tourism industry. Hotel occupancy through May was up 2.9 percent over the same period in 2012, the highest level since the state began keeping such records in 2004, Travel Michigan spokeswoman Michelle Begnoche said. The majority of the increased spending is expected to continue coming from out-of-state visitors. While Pure Michigan is responsible for much of that increase, some of the shift likely is due to the relative thriftiness of Michigan’s residents, many of whom are still struggling in the sluggish economy. Thus, many choose to vacation close to home – or to stay home. That might explain why sales of swimming pools are among the bright spots in the state’s economy. As with much of the economy, the pool business took a dive in 2008, said Chris Ferriss, president of the Association of Spa and Pool Professionals’ Michigan chapter. He estimated a third of the state’s spa and pool companies went out of business during the recession. Those that survived consolidated and expanded their services, he said. Beginning the last couple of years, the state’s pool industry began to recover. The association estimates Michigan residents had 800 in-ground pools built in 2012, a significant increase over the early years of the recession, but still 50 percent to 60 percent fewer than during the height of the housing bubble in 2003-2005. Some residents who bought foreclosed homes at bargain prices decided it was time to fix up the long-neglected pool in the back yard, Ferriss said, while others opted to spend their leisure dollars on a new pool. At Polynesian Home Center, a Grand Rapids pool company, “we’re so busy, we have a hard time doing it all,” said Cary Glonek, one of the owners. That’s the calculation John and Katy Wustman made before deciding to buy their pool. “It’s the convenience every day of having that nice little vacation heading out to the back yard,” John said. As he spoke, his wife, daughter, daughter-in-law, granddaughter and mother-in-law were in the pool, and he was eager to join them.